As an independent animation filmmaker and scriptwriter, Lynn Smith has been creating innovative and award-winning films since 1969. Her work has been recognized at major international festivals (including a Genie Award for her film, Pearl’s Diner), with retrospectives in Galway, Stuttgart, New York, and Montreal. Over the years, she has utilized a wide variety of under-the-camera techniques, including pastel, cutouts, paints, crayons and sand. Lynn was born in 1942 in New York City, where she graduated from the Cooper Union School of Fine Arts program in painting and sculpture in 1964. After earning Masters Degrees from Harvard University and the University of Wisconsin, Lynn began her career as a filmmaker in the Boston area. The Shout It Out Alphabet Film (1969), produced by Harvard University, is regarded as a children_s film classic, winning a top prize at the American Film Festival, New York 1970. “Teacher, Lester Bit Me!” (1974), was awarded Best Instructional Film in Ottawa 1976. Independently, Lynn produced two films: Pearl’s Diner (1992) and Sandburg’s Arithmetic (1995). Each was shown in more that 60 festivals around the world . Pearl’s Diner, screened at the Venice Film Festival 1993, received a number of First Prize Awards (Yorkton 1993, Atlanta 1993, Birmingham 1993), as well as Special Mention citations (Shanghai 1992, San Francisco 1993, Espinho, 1993, Black Maria 1994). Sandburg’s Arithmetic (1995), based on Carl Sandburg’s poem, “Arithmetic”. garnered awards at Annecy 1995 (Special Mention); Bombay 1996 (Best Animation Film); Cleveland 1997 (Best Women_s Short Film); National Educational Media Network 1996 (Golden Apple Award); Columbus 1996 (First Prize, Humanities, and recognized as the most innovative production of the festival). 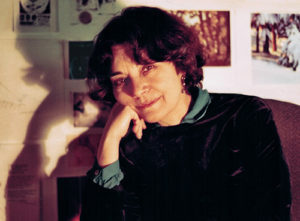 In 1995, Lynn was one of four animators featured in the documentary series , “Animated Women” (produced by Patty Wineapple and directed by Sybil DelGaudio (for ITVS – Independent Television Service). The series was shown on PBS & BBC. Lynn has also taught storyboarding for animation at Concordia University for 14 years, and has created a number of animated segments for TV documentaries for the NFB and CBC.